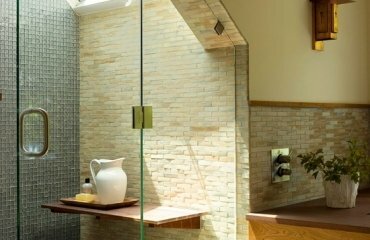 Modern shower enclosures come in different types, shapes and sizes and can be installed in small bathrooms or spacious bathrooms. 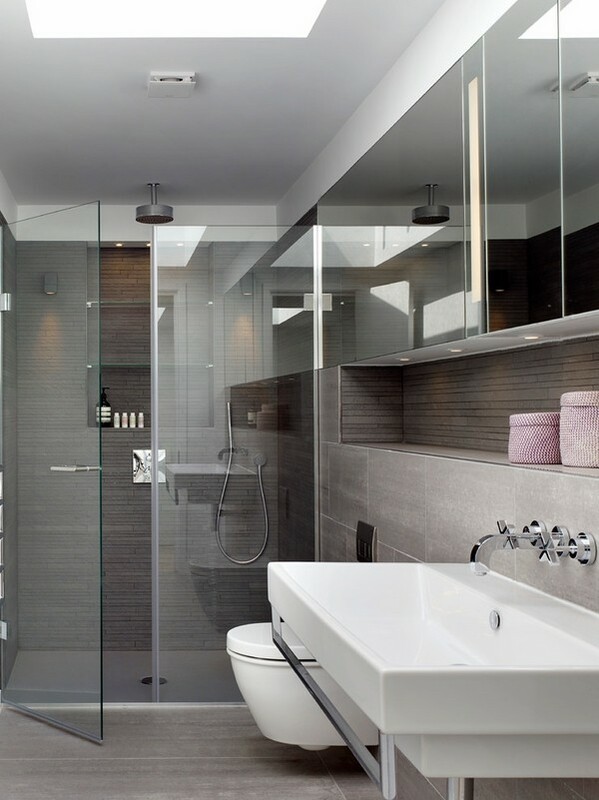 Shower enclosures have a very big impact on the appearance of the bathroom and we have chosen a selection of contemporary bathrooms with beautiful shower enclosures to give you some ideas how you can add a modern look to your bathroom. 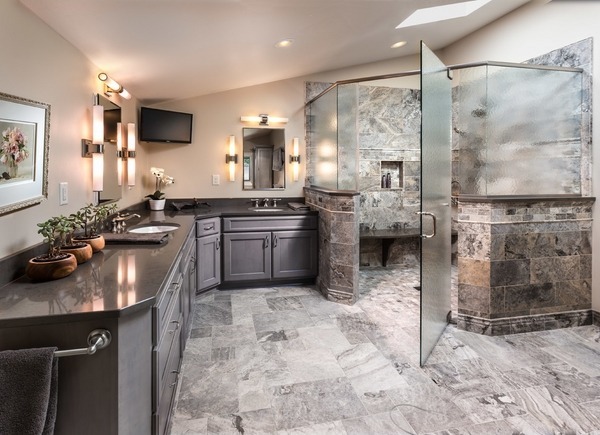 Whether you call it a walk-in shower, shower stall, cabin and despite the little variations in the meaning of each term, they all refer to the place where you take a shower and we shall see different varieties and design options. 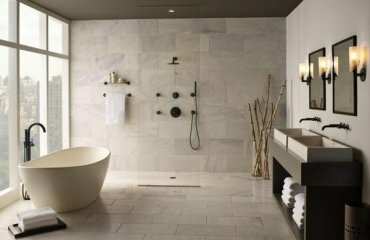 Shower enclosures come in different styles, materials and when planning the bathroom layout you need to take into consideration the available space, the furniture and its size, whether you want to install a bathtub and all these elements should match your style and preferences but before all the bathroom should be functional. 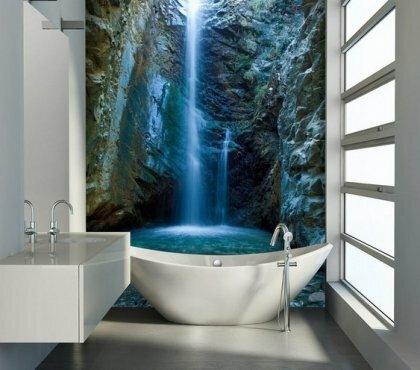 Nowadays it is difficult to imagine a bathroom without a beautiful stylish glass enclosure. 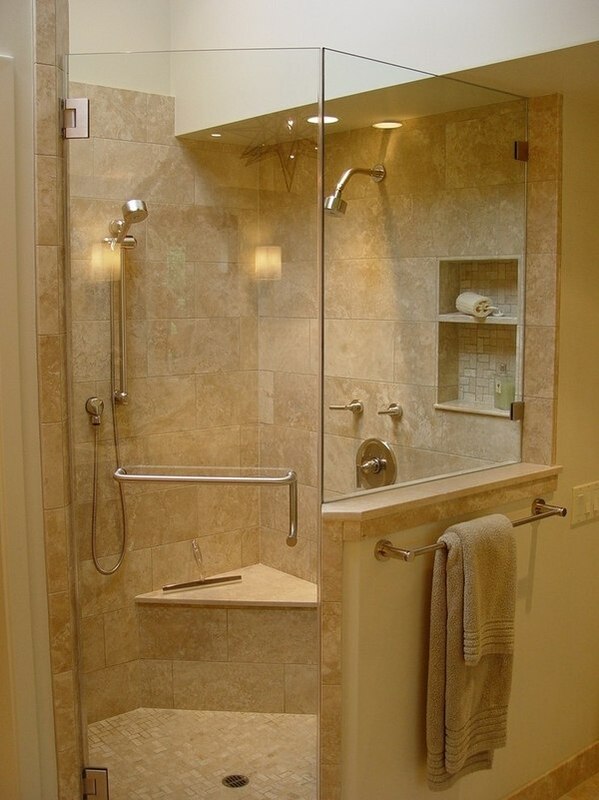 A shower enclosure is typically enclosed at all sides. Modern manufacturers offer a closed or open type of construction. Glass enclosures are both aesthetic and practical. They feature different stylistic design, size and shape. For small bathrooms compact corner options are available but you may opt for enclosing the shower alongside one of the walls as well. 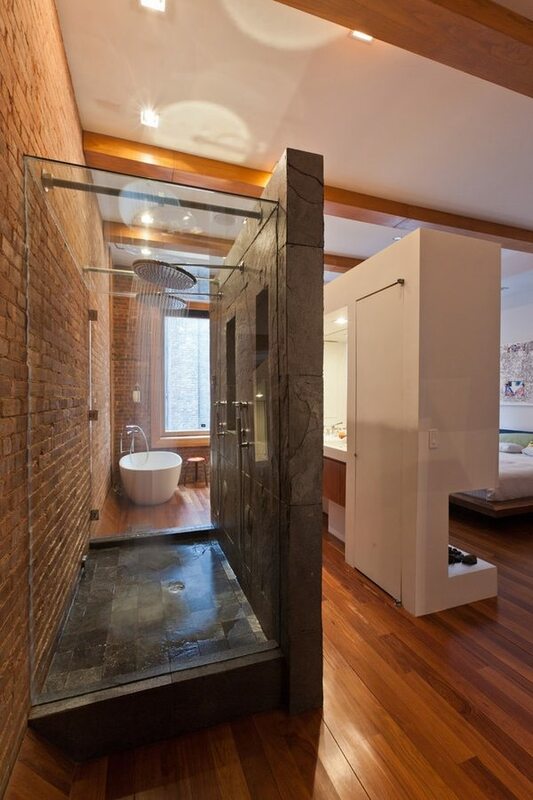 Even in attic bathrooms or in bathrooms with slanted ceilings it is possible to have a modern enclosure and you will see some original and creative design ideas in the gallery below. 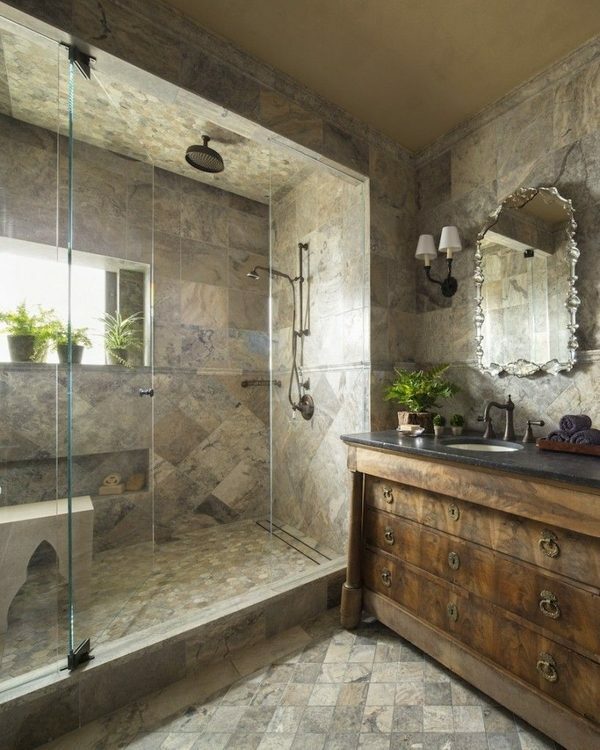 Of course, you can choose a simple design with a shower head or opt for a shower enclosure equipped with nozzles, seat, shelves, etc. In addition you can invest in a model which offers a steam generator, aromatherapy, sauna, telephone or other extra features. 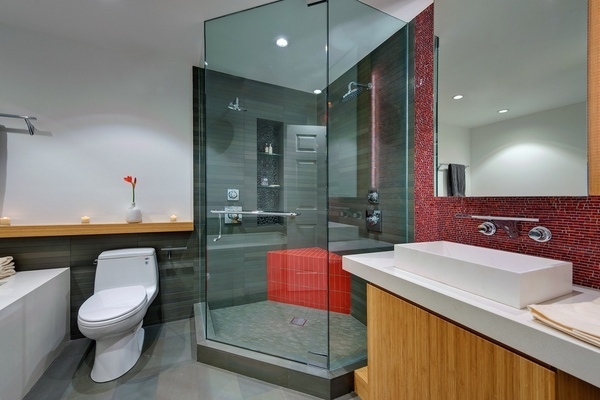 Modern shower enclosures offer a great flexibility in terms of design options. 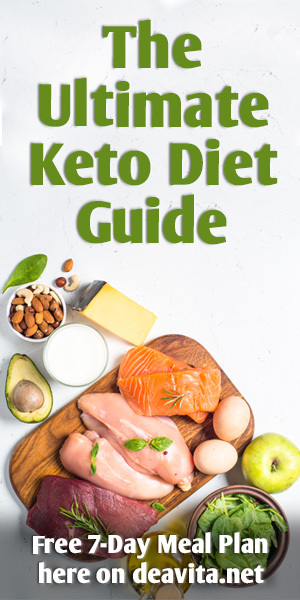 They are the perfect option if you are not satisfied with the size or design of standard products available on the market. 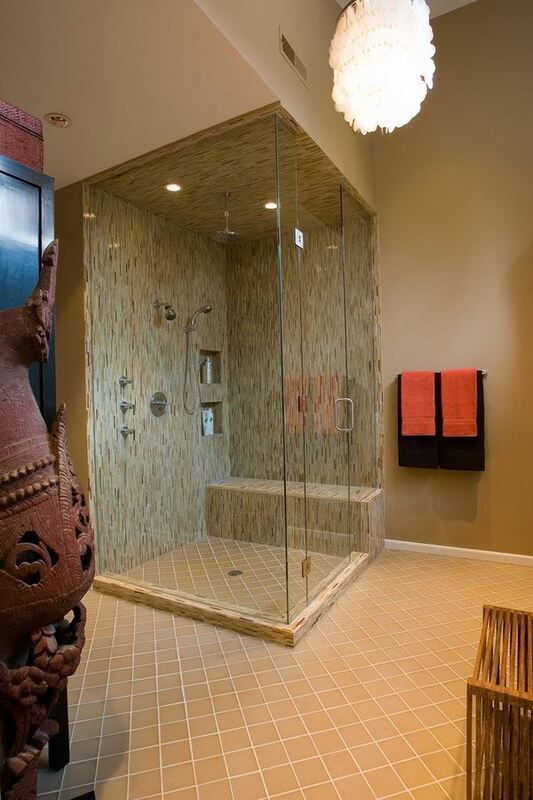 You can have a custom made shower enclosure which will meet your personal requirements and will be designed as per the available space in your bathroom. 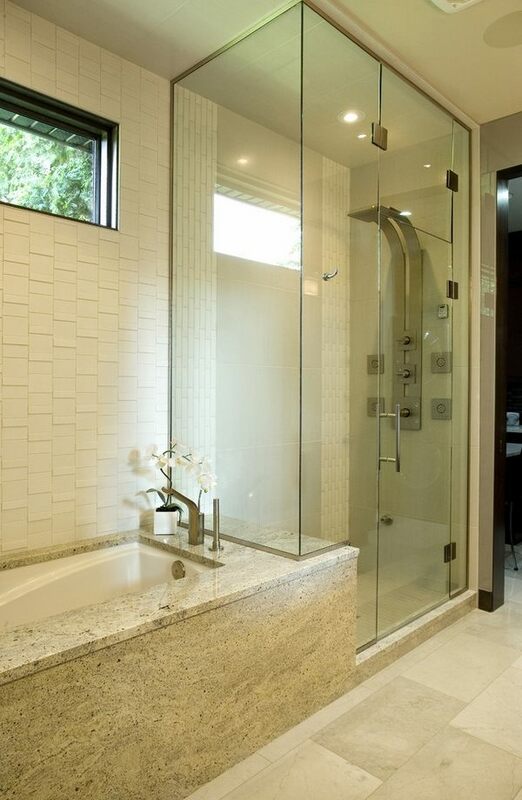 Modern shower enclosures from glass can be custom shaped in almost any shape – rectangular, trapezoidal, square or round and can be manufactured to any individual height. 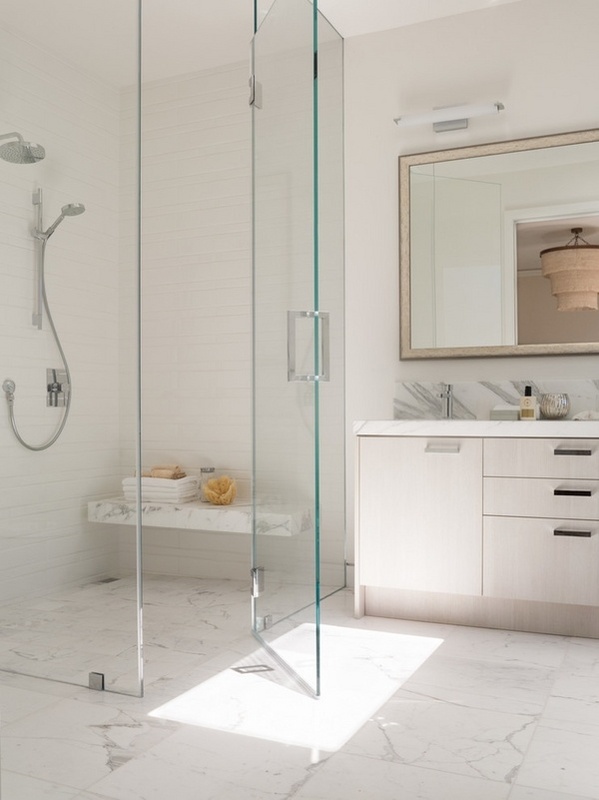 The installation process is fast, easy and clean which means you will have no dust, debris or dirt left in the bathroom after the shower enclosure is installed. 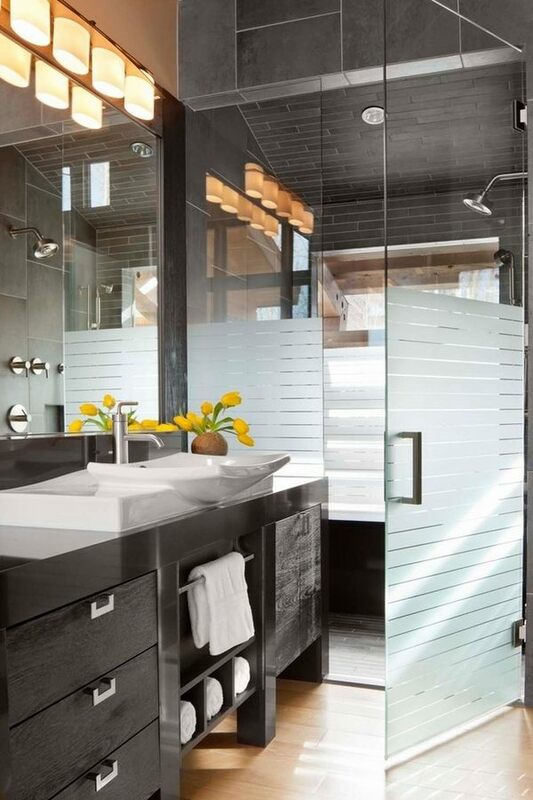 The advantages of glass in the design of high humidity interior spaces are more than obvious. Glass does not absorb moisture, does not warp, it is resistant to temperature changes, it is easy to clean and maintain. 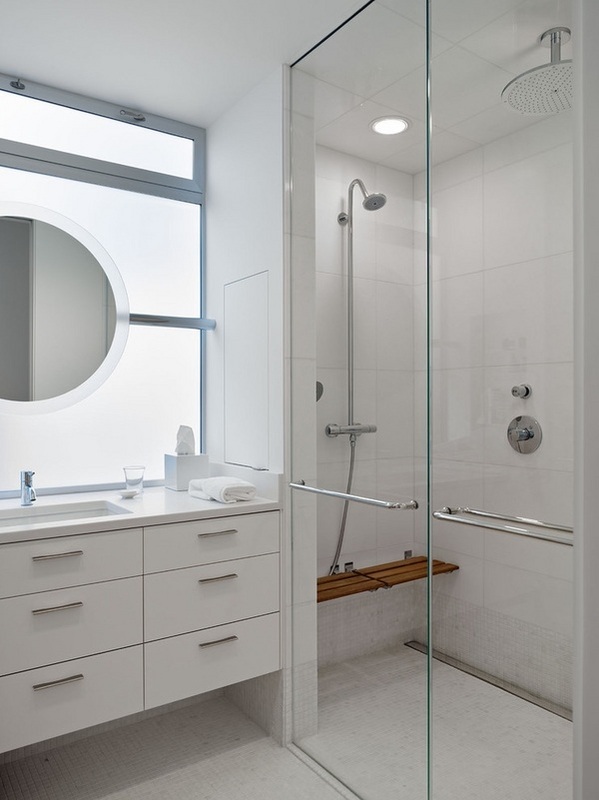 Further to that, glass increases visually the space of the bathroom, it does not block light and even small bathrooms look spacious and airy. 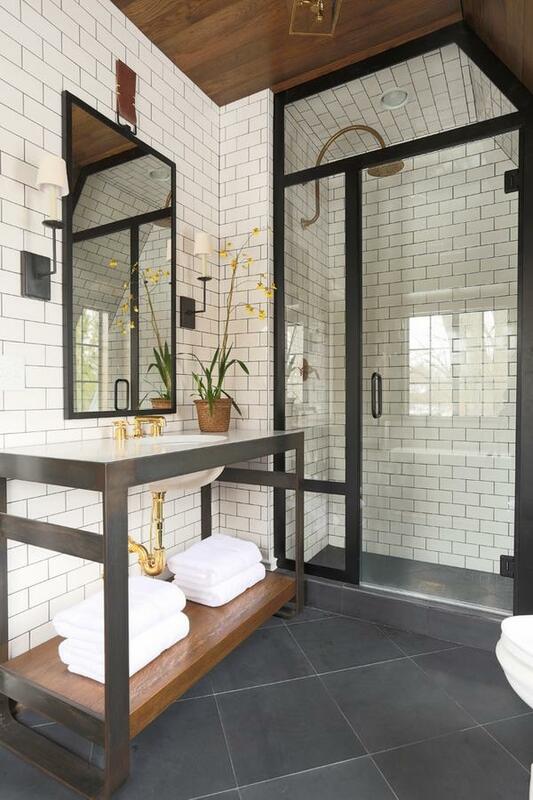 Glass looks great with any kind of finishing materials – stone, tile, wood, metal and works with any type of design – you can use glass in rustic bathrooms, classic, contemporary, industrial, tropical, exotic, zen, eclectic, minimalist, etc. 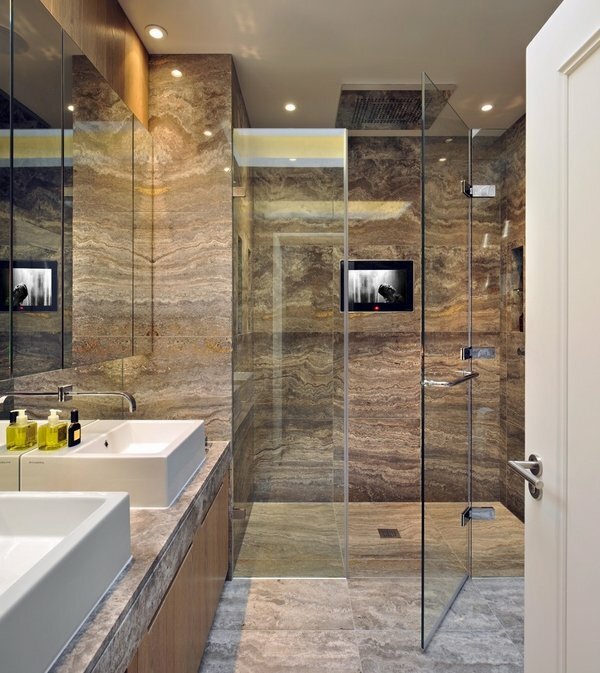 In terms of functionality, modern shower enclosures are especially useful as the bathroom can be used by more than one person which is very important when everyone is in a morning hurry to get ready for work, school or the usual daily tasks. 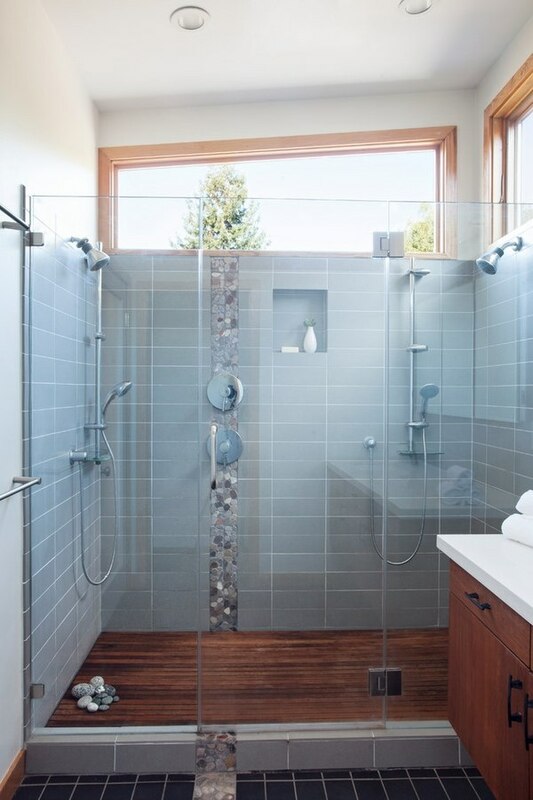 To some people the transparency of glass is a disadvantage as they feel exposed and they believe that a glass shower does not provide a good privacy. 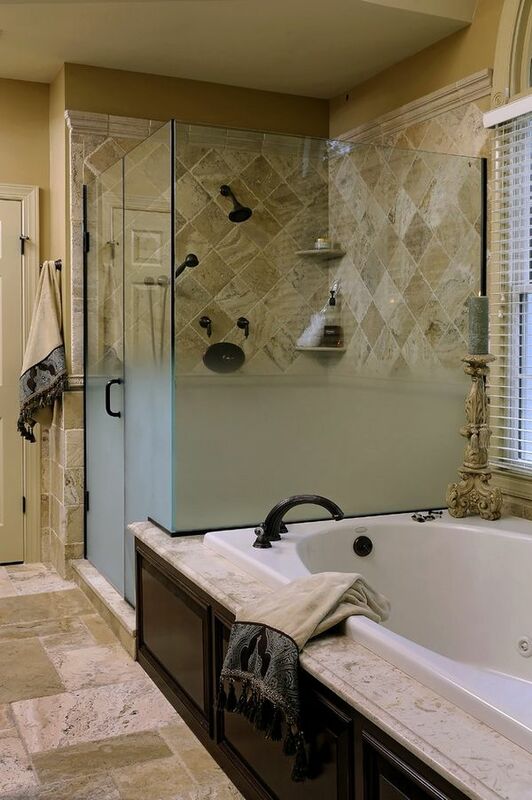 However, the market offers a variety of options – transparent, semi-transparent, or etched glass, frosted glass, so there are options that can provide the required privacy. Another disadvantage of glass enclosures is that when glass gets wet, water droplets leave marks and the walls either have to be cleaned with a squeegee after every use or wiped dry every time to avoid the building up of water marks. On one hand, this could be time consuming and in areas with hard water the maintenance of a glass shower enclosure does require efforts. 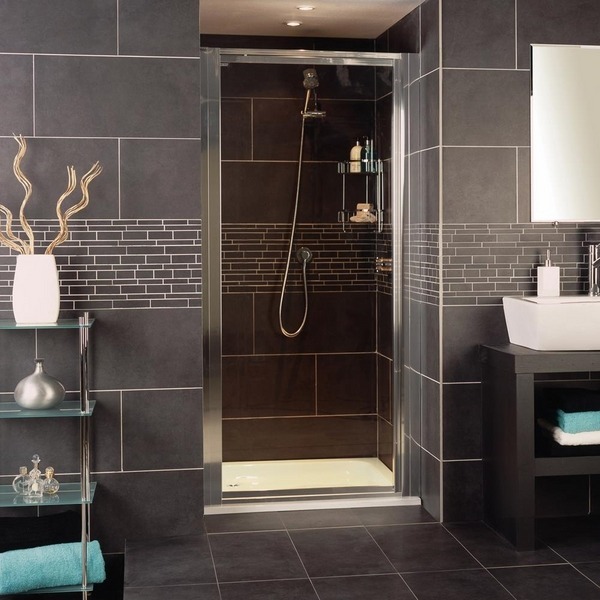 As we said, modern shower enclosures come in a variety of designs, styles, types of doors, shapes and sizes. 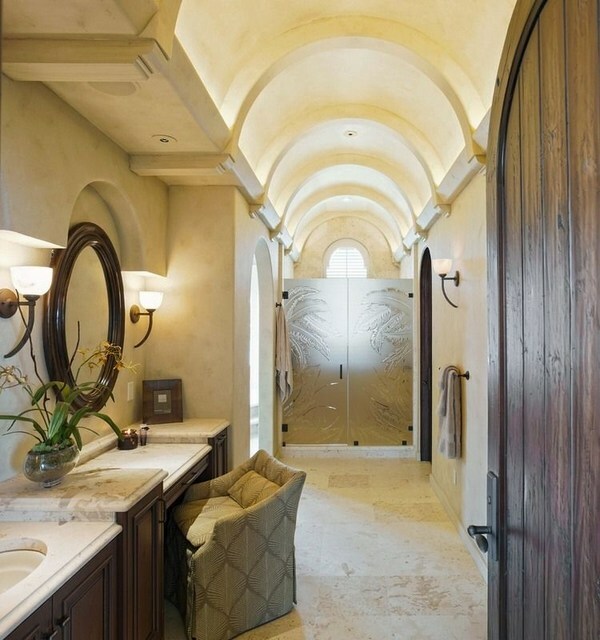 Here are the most important things that you need to keep in mind when choosing the right doors and enclosures for your bathroom. 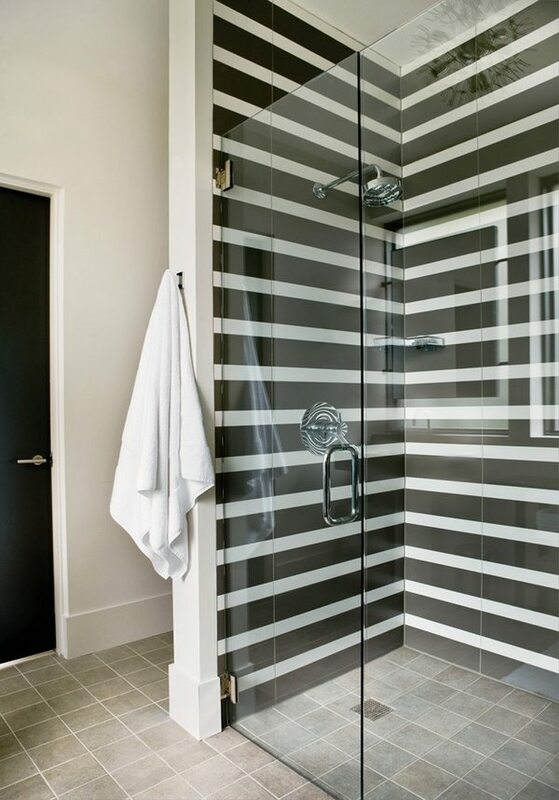 Walk in shower enclosures come with several types of doors – Hinged (pivot) glass doors which open outwards, bi-fold doors, which fold in half and open inwards (outwards). The inward opening is a good solution for small bathrooms, while outwards opening is more suitable for spacious bathrooms. 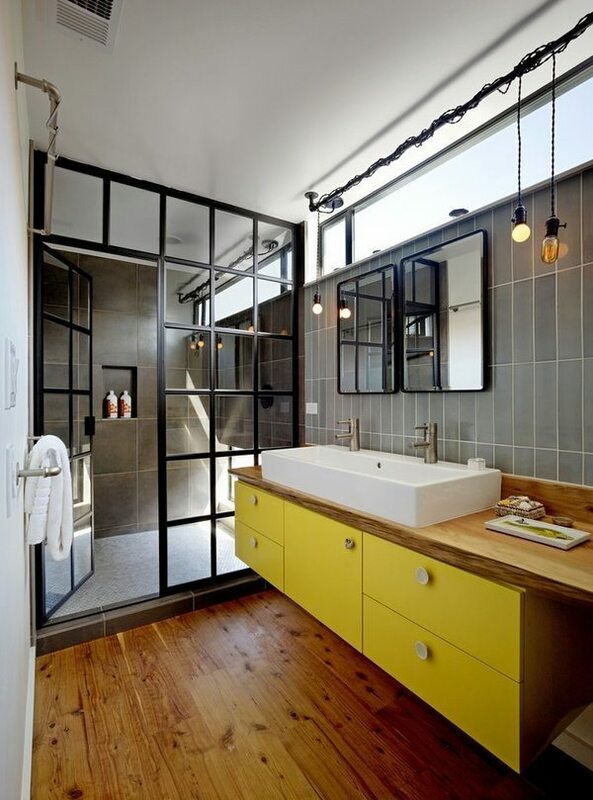 Sliding doors open into a frame which is also a good option for small bathrooms for the space saving design of these doors. 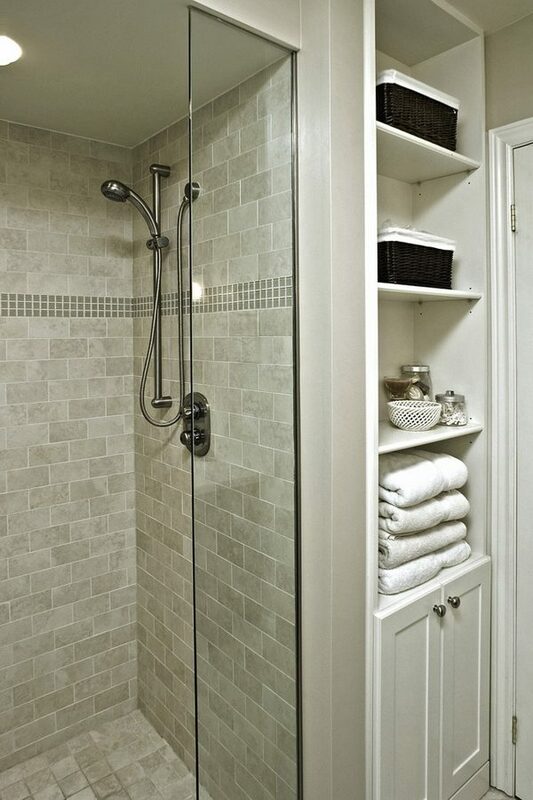 A corner entry is designed with two sliding doors which allow you to enter the shower enclosure via the corner. Quadrant (offset quadrant) doors open into the frame or outwards. Before buying or ordering your shower enclosure you need to consider and plan carefully the look and layout of your bathroom. Your first consideration is the available space. 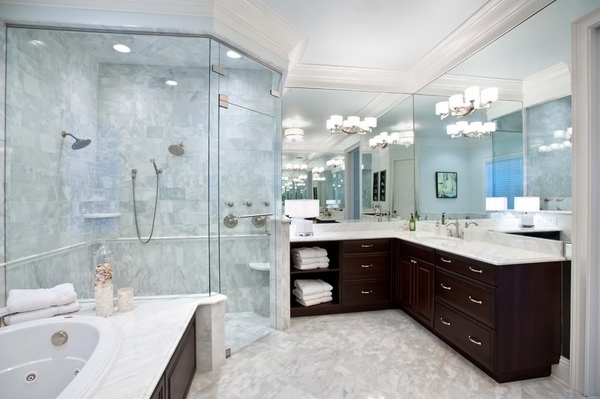 The space is the major factor that will determine the type and size of your shower enclosure. 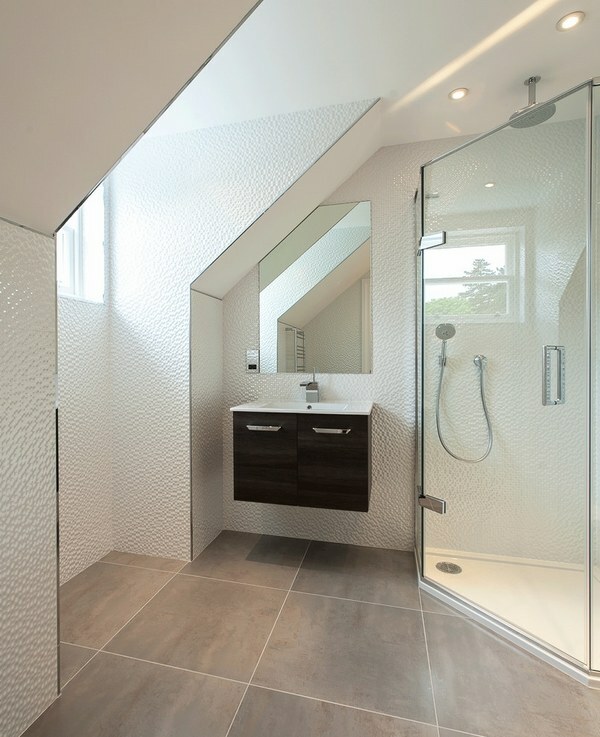 A good planning and a good design can make it possible to fit a modern shower enclosure in a small bathroom and experts advise that in such cases pivot or folding doors are the most practical and space saving option. 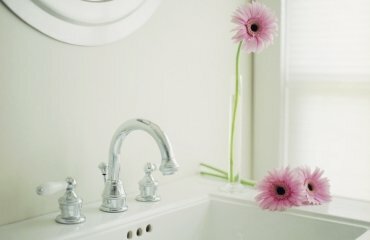 The position is essential as the wrong position will make a bathroom look overcrowded. You need to carefully consider whether you will place the shower in the corner, in the center of the wall or as a separate enclosed area. The position is important as it will have influence on the type of doors, the shape of the enclosure, plumbing, drainage, etc. The question that people find most difficult to answer and make a decision on is tray or no tray? Some people consider shower trays to be old fashioned, while others find them useful and practical. There is no rule, it all depends on your personal choice. Some enclosures are designed with trays which means that you will not have to buy it separately and worry for the size. 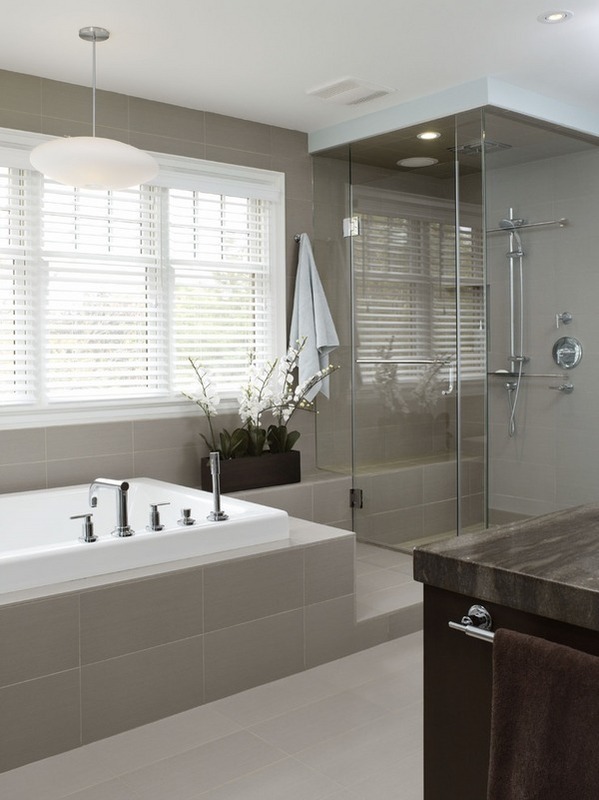 If you are a fan of curbless showers and modern shower enclosures, then the tray is not an option. 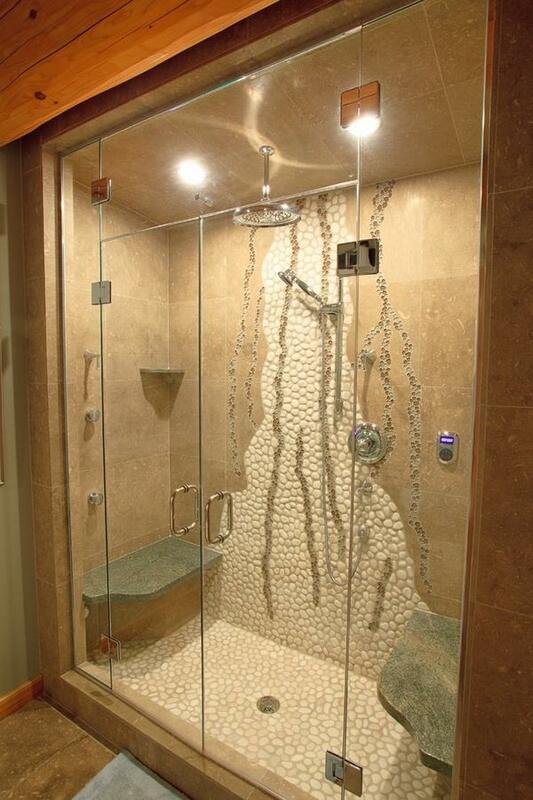 Modern shower enclosure finishes can be different depending on the design style, the personal preferences and taste. 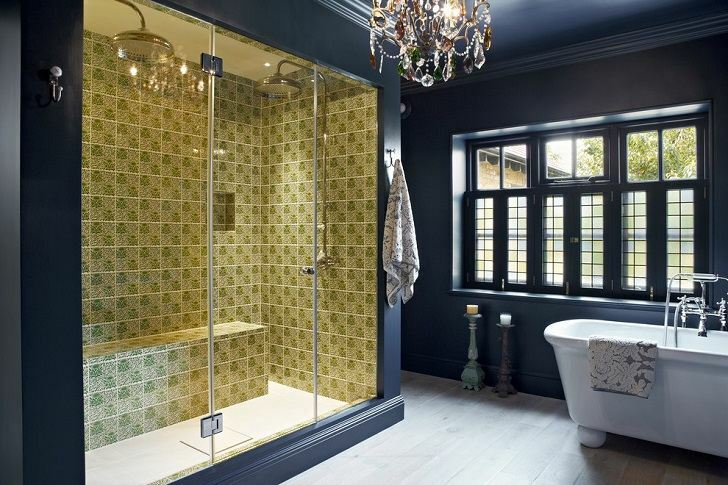 Tiled showers have proved to be elegant, practical and functional. Make sure that the floor and walls are tiled and sealed correctly no matter what type of finish you have chosen. Finally, we come to the type of glass. 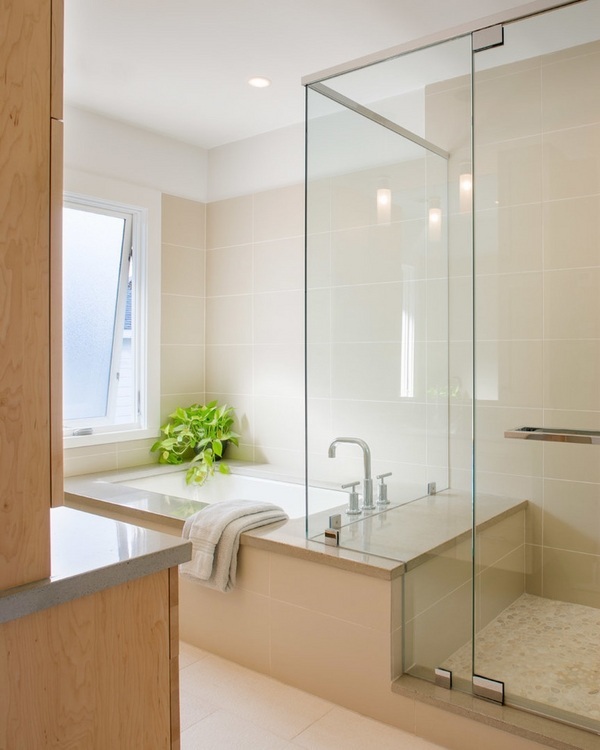 Glass shower enclosures are usually manufactured from 8-10 mm thickness of the glass. This makes it durable, long-lasting and safe. Toughened safety glass is always a good choice but you should keep in mind that thicker glass is heavier and needs more support due to the extra weight. Thicker glass is more expensive, so if you are on a budget, you may consider a more affordable 4-6 mm option as an alternative. Buyers can choose from different types of glass – clear glass, frosted glass, tinted glass (bronze, gray, dark gray, blue, etc), decorative and patterned glass. There are companies that offer engraved glass treated to be suitable for use in rooms with high humidity. 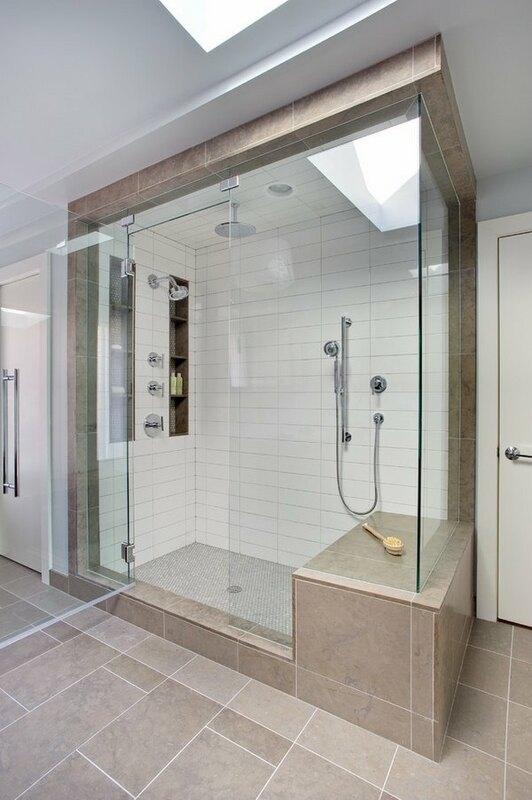 The cost of a shower enclosure will depend on many factors: the shape and complexity of construction, thickness and type of glass, accessories, installation, etc. 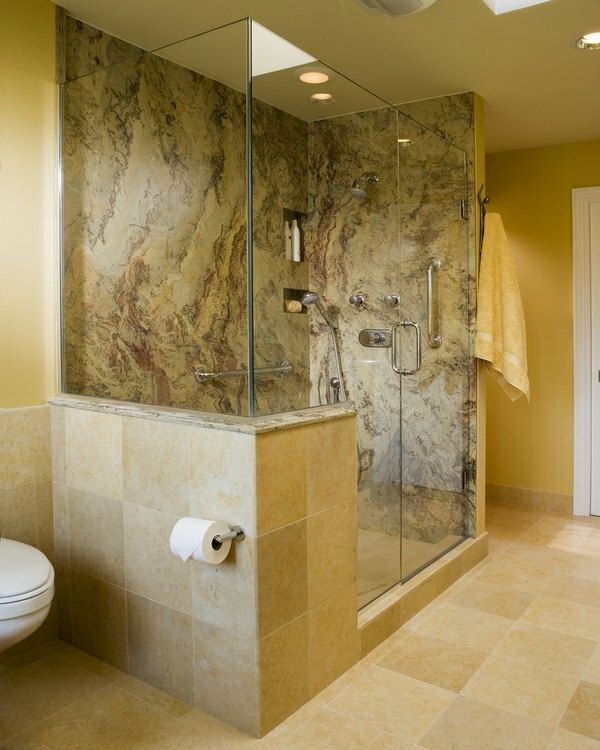 Maintenance of glass shower enclosures includes some simple rules. Do not use abrasive cleaners as they may scratch the glass. 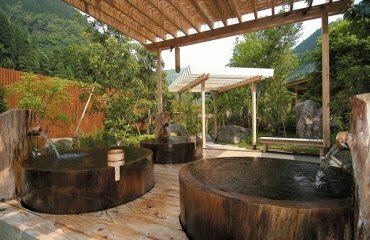 In order to maintain the impeccable appearance, it is recommended that you always rinse the inside with hot and cold water and carefully wipe until dry and regularly clean the enclosure from plaque. 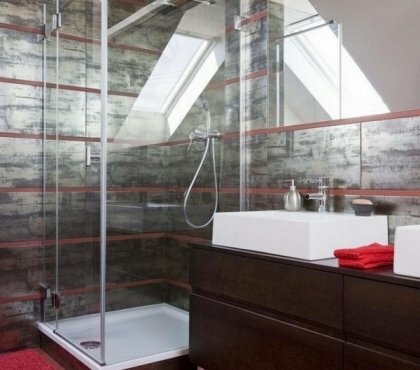 Modern shower enclosures are one of the best solutions in bathroom design. 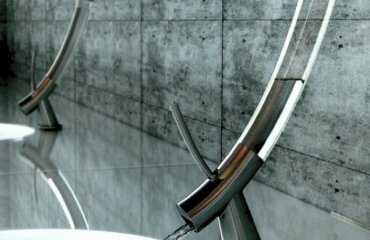 They not only are an essential part of the design of the bathroom but can be used for separating the shower from the rest of the bathroom. 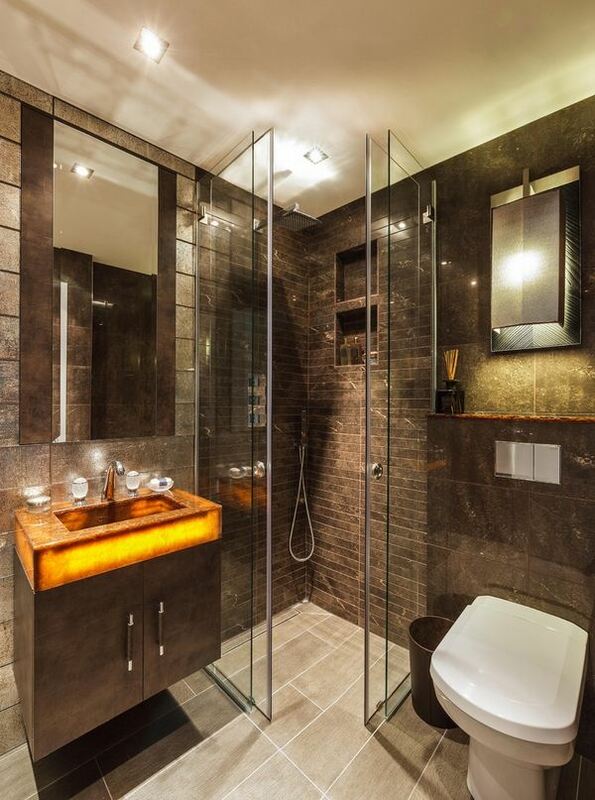 Glass enclosures are suitable for any bathroom, any design style and add a sleek look to the interior. 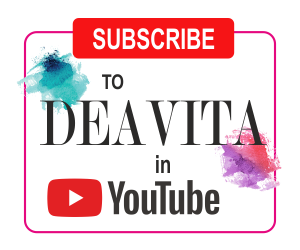 They look aesthetically pleasing and are the right choice for anyone looking for innovative interior design solutions in the apartment, house, villa, cottage, etc. 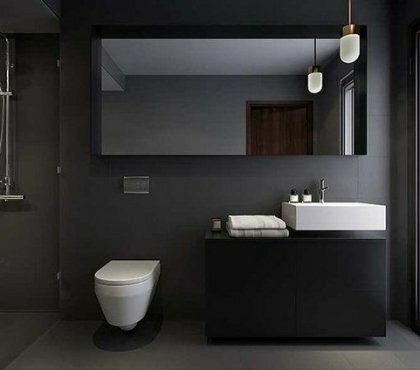 The numerous design opportunities will be able to satisfy homeowners who have rooms with non-standard dimensions or architectural features but want to create a simple, functional yet elegant bathroom.